Just when we thought the Dubai Police cannot get any cooler, the department posts a new video on Facebook showcasing their latest mean addition. 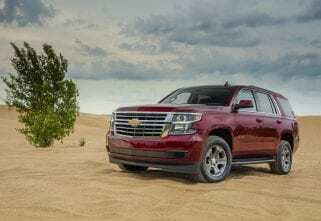 The latest addition in the department’s line-up is Chevrolet’s crowned SUV Tahoe. While you might reckon a vehicle with capabilities like any other high-seated vehicle, the ‘Ghiath’ is no SUV. How does an onboard facial recognition tech sound? That’s not the only thing that makes it special. 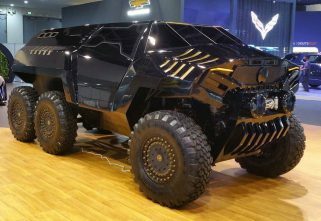 With all the tweaks that have been done to the Tahoe, the ‘Ghiath’ is one of the most advanced police vehicles in the world. The department showcased a teaser of the iteration through a video that was posted on Facebook. Interestingly, the revamp and additions were undertaken by W Motors, which is popular for blessing us with the achingly-beautiful Lykan Hypersport. From what we can see, the new ‘Ghiath’ has a completely new front and rear clips. However, the side profile of the car seems to have been retained along with new interior switchgear. The facial recognition tech that is featured in the SUV runs in real time with a direct connection with the Dubai Police Command Operations room. In the video, we see that one of the officers puts the car into ‘Fast’ mode. However, it is not yet clear what that switch induces. Inside the cabin, a set of touchscreens in the dashboard relay vast amounts of information and the video shows its centre cluster has been replaced with another touchscreen. The touchscreens and other computer gadgets come from Safe City Group, an Abu Dhabi-based computer security company. We do not need to remind you what the Dubai Police’s fleet looks like. The department possesses some of the most sought-after supercars in the world, including an Aston Martin One-77, Bugatti Veyron, Ferrari LaFerrari and many more. As far as we know, trial hoverbikes are also on the list for the Dubai Police that is soon expected to be a part of their fleet.